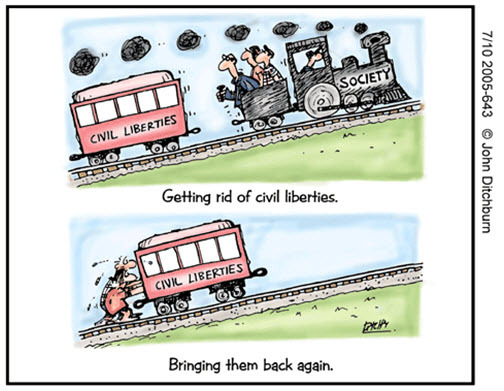 Are our rights under threat? 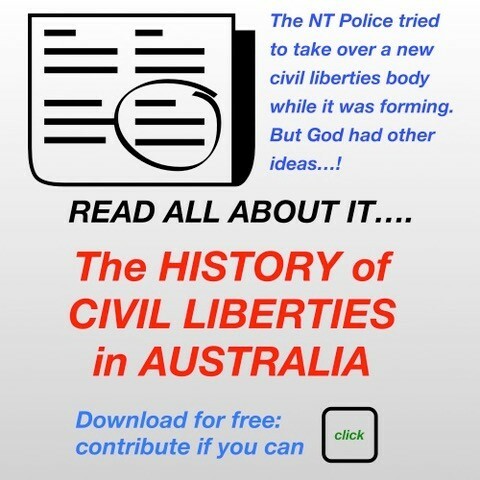 This thoughtful, scholarly analysis of civil liberties in Australia after 11 September 2001 was presented to a University of the Third Age (U3A) forum in August 2006 by Allan Hall, founding partner of Canberra legal firm Snedden, Hall and Gallop and later Deputy President of the Administrative Appeals Tribunal (Commonwealth). Note: Allan Hall has added further comment after the Jack Thomas acquittal by the Victorian Court of Appeal in August 2006. Ernst Willheim’s excellent contribution to the U3A debate discloses an increasing lack of respect for rights. Mr Willheim is a former head of legal and policy divisions in the Attorney-General’s Department who appeared as counsel for the Commonwealth before the High Court in many important constitutional cases. He continues to research in areas of public law.